Perhaps due to the limited userbase and sales potential on the Wii U, Nintendo is bringing a couple of its notable home console releases of recent times to the 3DS, no doubt necessitating some technical wizardry in the process. 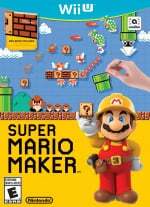 The first of these is Super Mario Maker for Nintendo 3DS, which delivers a portable version of the level creation tool that so charmed (and occasionally irritated) online communities of Mario fans; it's due out on 2nd December. It's not a straight port, though, so ahead of our review we thought we'd outline the key differences between the games in a chatty FAQs format (which is all the rage, apparently). That also means we can check your comments for additional questions to add later on. So, what are the key differences between the Wii U and 3DS versions of the game? Can I upload my levels online in the 3DS version? This is the most important one - no. Any levels you create in the 3DS game can only be shared locally with someone else that has a copy, or it's possible to swap levels through StreetPass. You cannot create a stage and then upload it for others to access online. What about playing levels on 3DS that others have created and uploaded on Wii U? You can play levels made by Wii U owners, but with some limitations. 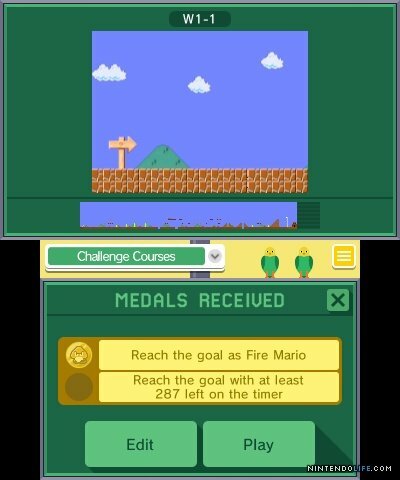 'Course World' - with '100 Mario Challenge' and 'Recommended Courses' - makes the transition to 3DS, but the latter of its two modes is a scaled back alternative from the Wii U version. We explain the differences below. So, what's the deal with 'Recommended Courses' on 3DS? In the Wii U version of the game 'Course World' is integral, allowing you to search and filter levels on difficulty, rankings, new releases and even specific course IDs. The 'Bookmark' website also automatically connects to the game when setup with a Nintendo Network ID, allowing you to find levels online (or get linked to them through online communities) and synchronise them into your game. You can also look at levels created by official or highly ranked 'makers', and when you play any level you can opt to give it a star, save it to your copy to play at any time, or comment on it in Miiverse. The function could be better on Wii U, but it's nevertheless quite well put together. In the 3DS version this is heavily stripped back. 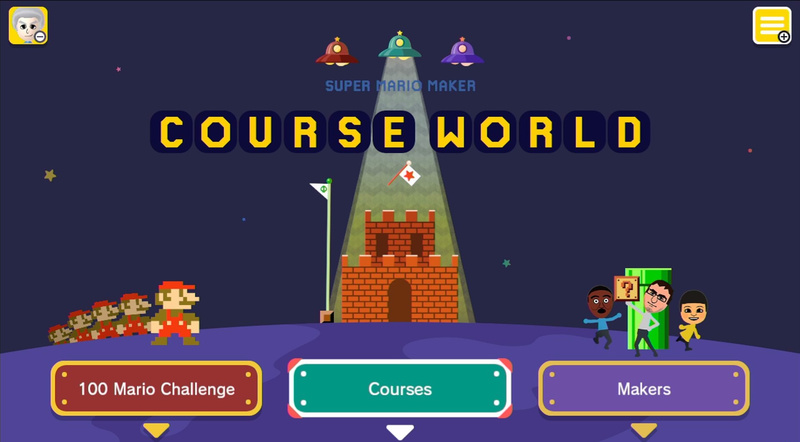 Course World includes 'Recommended Courses', which allows you to filter by difficulty and 'refresh' the results randomly populated from the game's online server, and that's it. You can't do any additional custom searches, access bookmarks or find specific courses, and when you play a course you can only save it - you can't give a star or post about it on Miiverse with a tap of the button. It's heavily scaled back, designed to give you a near endless supply of levels, but with no real control (beyond difficulty) over what you're given. Why has Nintendo done this? WHY?! The 3DS has always had its limits in terms of online functionality. There's also the factor that not all Wii U courses are supported in the 3DS version, primarily because of the lack of amiibo support (we'll get to this later) meaning that any courses with 'Mystery Mushroom' outfits and so on aren't included. To be honest, it probably made for a far simpler development process to just create a simple server service that drops viable courses into a mode at random. But 100 Mario Challenge is included on 3DS, right? Yep, just like on Wii U you can pick a difficulty setting (Easy, Normal, Expert, Super Expert) and rattle through a bunch of levels with a 100 life limit. In fact, in the Wii U game you need to unlock difficulty settings, whereas on 3DS they're all available from the start. There's no '10 Mario Challenge', however, with Nintendo-created levels structured differently via 'Super Mario Challenge', which we'll cover below. You mentioned amiibo support, so that's not included in the 3DS game? Nope, despite a brief (evidently accidental) listing on an official Nintendo website, this game does not support amiibo. That means no franchise-blending crossover pixels, sadly. Levels featuring them don't seem to make an appearance on 3DS through the online courses, either. Ok, so what about the actual creation tools, is anything different there? In the 3DS version two features are absent as far as we can tell - the aforementioned amiibo support and the accompanying Mystery Mushrooms, and the ability to record sound. Apart from that the tools works in pretty much the same way. Wii U - starts with 2 templates (Super Mario Bros. and New Super Mario Bros. U), two environments, and 12 course items. 3DS - starts with all 4 templates, all six environments, 32 course elements and 14 sounds. In the 3DS version time passed and usage of items in level design is irrelevant - you unlock items in the new 'Super Mario Challenge' mode, which isn't included on Wii U. So it's all about player that 'campaign' to unlock more items, with the game providing snippets of advice as you progress. Is Super Mario Challenge any good? Well, at the time of publication some comments are embargoed, but in our preview we were clear in saying that it's rather enjoyable. Consider it an expansion of the '10 Mario Challenge' in the Wii U entry, but with more structure and a cumulative lives system. 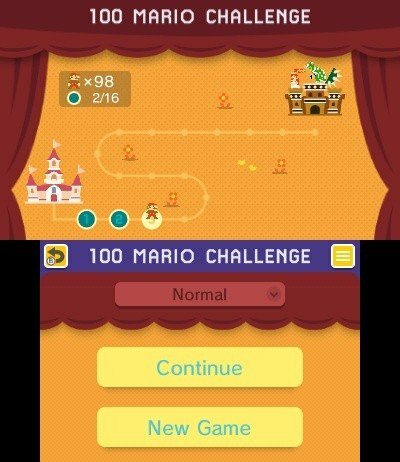 Plenty of Nintendo-designed levels split into set worlds, along with two Challenge Medals per stage, make it a fun mode that can take a good amount of time to clear. That said, we'd suggest that rattling through this mode (with assist items an option if you struggle in a level) is a much quicker way to unlock creative items than the time-based approach of the Wii U entry. Anything else that's different on 3DS? The creation mode has ten 'lessons' with Mashiko and Yamamura, a customer services rep and talking pigeon; each consists of a Basic and Advanced part, in which you go hands on with items and then get shown a careful deconstruction that teaches you important lessons in creating enjoyable, well structured levels. What about graphics and presentation, is there much of a difference? To be blunt, yes. The Wii U version looks fantastic, with all four templates and the user interface being clear, colourful and pleasing on the eyes. That's the joy of HD and the fact that the game's engine and visuals evidently don't strain the hardware too much. There are plenty of compromises in the 3DS version, simply due to the gulf in hardware. Based on playing it on a New 3DS, the results are still reasonable - we've encountered next to no slowdown, and the retro templates are all fine, looking charming on small screens. That said, the New Super Mario Bros. U engine isn't perfectly suited to the hardware (due to being zoomed out and the low resolution of the system's top screen), but it functions well enough. There's also no support for stereoscopic 3D, at all. Nevertheless the dual screen user interface in the creation tool is particularly well-suited to the 3DS, so that's a benefit worth highlighting. What's your summary then, which one is best? The Wii U game is the ideal solution if you love creating, sharing, finding and playing user-generated content online; its Course World is fully featured and - combined with the Bookmark website - offers a lot of awesome opportunities to enjoy these community levels. As an online experience for exploring imaginative levels (ranging from amazing creations to outright bad efforts) it's the way to go, and is still a huge amount of fun. The 3DS version is lacking in this; the only online user-created levels are picked and distributed by Nintendo, with limited ability to filter them (you can only do so in difficulty level). That said, the course creation tools are unlocked far quicker and with more available from the start, while the included 'lessons' are excellent. Super Mario Challenge is also a highlight, meaning that the 3DS version is a sizeable collection of quirky, entertaining 2D Mario levels that are playable on the go. Both titles, despite having the same foundations, therefore suit very different requirements and preferences. 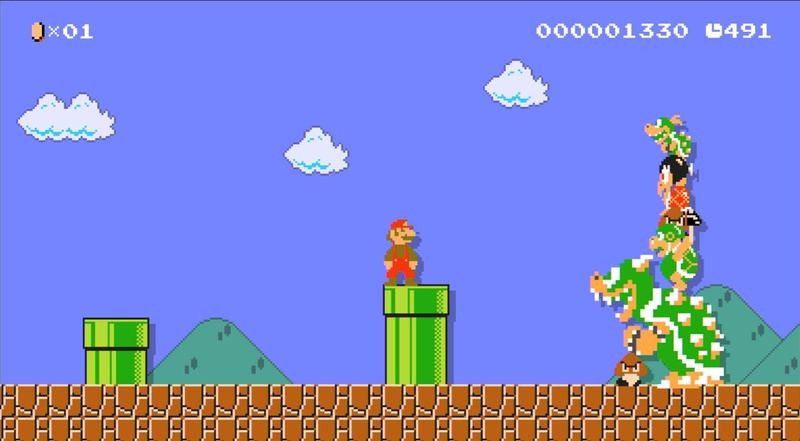 Depending on what you want from Super Mario Maker, each version has merits. Hit us up in the comments with more questions and we'll endeavour to answer them during the 3DS version's launch week. They should have fixed that bug where the Daisy amiibo doesn't work. What's the point of the 3DS version then? It's cool that now we have a choice of versions with Mario Maker. ^_^ If you want to make levels anywhere the 3DS version is perfect but if you want to share your levels with the world then the Wii U version is for you. 3DS sounds like the Shareware version of the game that they're charging for. I'll probably end up getting it when it's used or $20. I've only got a 3DS, no Wii U, so I'll be picking it up. It's a shame that you can't search for specific courses but there well still be thousands to download from online which suits me fine. 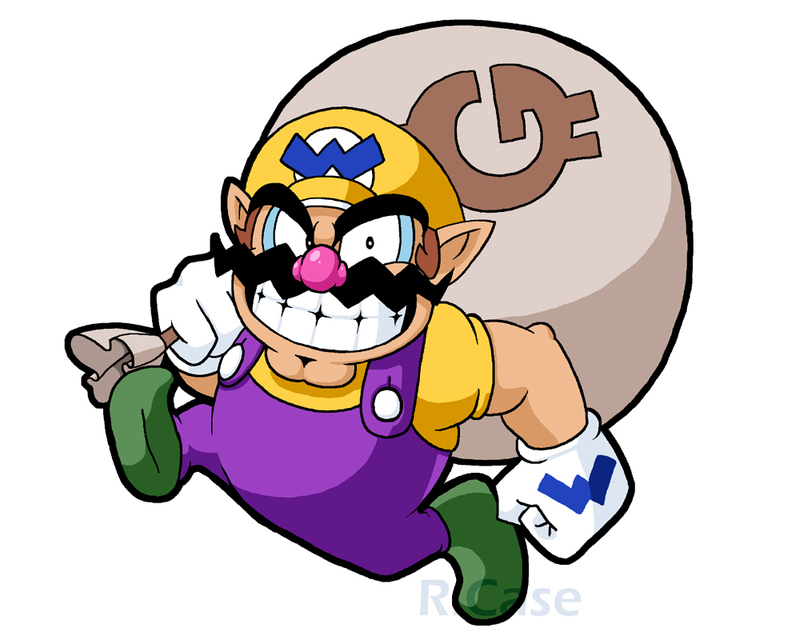 This is a cash-grab, and Nintendo knows it. Again, if Nintendo wants to make money by porting all of the good Wii U games, they can at least add more content to the Wii U versions to show their audience they care! Why hasn't there been a Super Mario Maker update in 6 months?! Yeah, I'd really like the ability to edit on-the-go / in my spare time and be able to upload it to play on the big screen (Wii U). Kind of upset this isn't a possibility. @SamuFinland making your own levels? playing a nearly endless supply of Mario levels? on the go? The Wii U's ability to try out friend's courses and other various fun looking levels I find online was a big appeal for me. The 3DS version doesn't appeal to me at all due to lack of online sharing. It's a watered down version at a watered down price, why do people expect the same game for only 2/3 of the price? My question - as w/ all things 3DS, and made even more important w/ Switch on the horizon - How many save files? We have SMMU, my 2 sons and I each have our own save point for our $60 game. If there is only 1 save file that limits the use of the game for us far worse than no online. And with Switch not knowing if it's a home or handheld, my family and I do worry about how save files - even NNIDs - are going to work. Our Wii U has 5 NNID, each of our three 3DS only has 1. If Switch only allows 1 profile it will be a very long time before we own 1. My kids can get their own after they go off to college. 3DS games are infinitely easier to just jump into, so I'm looking forward to this despite owning the Wii U version. I don't create courses, I only play them, so this version is perfect for me. For those who didn't get a Wii U. So what are the Wii U owners complaining about? @rjejr Excellent points and very good question about NNIDs. This is one of the big no-win situations the Switch has to face when launching. I really enjoy Mario Maker and haven't played with it nearly as much as I've wanted to. I honestly think that street pass and device to device transfers could make the whole process more fun if you have a few people that are interested. You could get your hands on interesting courses from a friend of a friend of a friend and there are real people and faces attached. There's a charm to it that the Wii U won't have. As for a version on Switch... no stylus and no dual screen will really hurt the experience, in my opinion. Glad they got Mario Maker out for the Wii U. @EmmatheBest I wouldn't bet on that. There are a lot of people who wanted to play the game but don't own a Wii U. I'm sure they will settle for a watered-down port to be able to play it at all, especially since they won't have the superior console version to compare it to. The 3DS user base is far, far higher than that of the Wii U and game sales will likely be, as well. The only people who are opposed to this particular port are the owners of the console version, like myself, who are undoubtedly in the minority. Good for people with a 3DS and no Wii U but it doesn't actually add anything now that I look at it a bit more; it just strips the Wii U version down. Why is Nintendo still obsessed with local play anyway? @EmmatheBest What's your definition of failing "REALLY" bad? So, you know, we can check up on your claim. I'm sure there'll be a lot of fun to be had in the new modes, but... there are obviously some really crippling omissions. It's a creation tool, but with no decent way of sharing your creations with the world at large, and no way of choosing courses made by the world at large to play. If it were possible to upload your levels to the Wii U version (and upload from there), that would be a workaround - clumsy, but it'd at least add renewed relevance to the home console version. It's the 'tree falling in the forest' problem again. If a course is made and no-one is around to play it, does it make a sound? Or rather, does the course making platform have any real purpose? It's not that there's no way of sharing levels, but for many people it'll be so restrictive as to be almost pointless - especially compared to the freedom the Wii U version allowed (and even that was far from perfect). I'm not one to generally spit on Nintendo for the sake of it; I think a lot of the things that Splatoon got criticized for were either justifiable or inevitable given the small install base, and I thought Star Fox Zero was... basically the right Star Fox game, but these omissions seem to have pointlessly neutered what could have been a great extension of a fantastic game. @3dsgeek333 "Why is Nintendo still obsessed with local play anyway?" Probably because Iocal play is a better experience in most every way? Playing alone or with faint shadows of people online is a sad compromise many need to make but being together is almost always better. Perhaps Nintendo is naive about how many people make the effort to get the better gaming experience, though. They should have just made a "read-only" version that lets you play courses uploaded from the Wii U and sold it for half this price. Why would you spend hours designing a course on the off chance you get a street pass hit. So...you can't transfer your own courses on Wii U to or from the 3DS? That kills it. I spent so much time making courses on my Wii U, if I can't play them on my 3ds there is no point in me getting the game. @EmmatheBest You're way off. A HUGE amount of 3DS software is purchased by parents who know little to nothing about the games beyond "little Timmy likes Mario / Pokemon". This will sell a crap ton over the holiday period, and a lot of little kids will be unwrapping it come Christmas morning. It may not have much to convince owners of the Wii U version to double dip, but it will not fail. Not even close. It's a watered down version but I'll get it for On the go. It will definitely still have all the quality hard levels. I'm buying this even though I own the Wii U version because I barely ever create courses anyway, and the prospect of playing Mario Maker courses on the go is exciting. A bit disappointed that you can't transfer 3DS courses to the Wii U though. And what do you know, a commercial for the game came on right as I was typing this. I'll be sticking with WiiU. I'd rather play on tv anyway. This is really so the non WiiU owning 3ds gamers will buy it. So I'm glad they get some of the fun. @memoryman3 Well at least they made Daisy the best ally in Mario Party Star Rush. Great review. Oh wait, can't call it that, NDAs in place, already done a preview, what else can we cook up to get clicks for the site during the leanest Nintendo Xmas since the 1960s... Ah! FAQ! Honestly, I'm buying it as a supplementary tool to Super Mario Maker U for test level concepts on the go. @LegendofPokemon They just updated the game with a new amiibo costume last Friday. @Mega_Yarn_Poochy Yeah, but I still the find that course elements (besides amiibo costumes) are still very limited. There are so many things they could add, from all of the 4 NSMB games, that both versions feel like missed opportunities. If the rumored Switch port is true, I hope it THE game's potential is fully realized. This is a horrible port. So many game design and business ideas are conflicting in this version. Unless you have an inner circle of friends who each have a 3DS and a copy of the game, MM3DS will get boring quickly. Literally none of the decisions to port this game make sense, its only a quick cashgrab. The only reason to buy this would be if you don't have a Wii U. It has no exclusive features, unless except playing on the go, and if the game gets ported to the Switch, that argument goes out the window. Plus no amiibo support? Why? What happened to utilizing amiibo in games now? The New 3DS even has amiibo support! This is such a shame, at least make me want a reason to buy the game. A missed opportunity. With so many limitations, this will barely see a decent sales mark. Everyone is complaining about these since the reveal trailer but they just kept ignoring. Good luck Nintendo. Honestly, they need to patch in the ability for a 3ds to send a level to a Wii U locally (and receive sent levels without mystery mushrooms or recorded sounds from the Wii U locally). Then the Wii U could download levels off the net for the 3ds to play on the go, and the Wii U version could upload 3ds levels. What's the worst that could happen, better Wii U sales? @rushiosan I'll agree it's a rushed port and severely lacking in features, but it'll definitely sell well. There are millions of 3DS owners who never got to play this on Wii U and they'll buy it. @SamuFinland People who don't have a wii u (Like me and a bunch of others) can enjoy a portable version of the game. People complained about Hyrule Warriors Legends as well and I absolutely love that game and played it a lot. I was initially skeptical about this game, but it sounds fun and since I don't have a Wii U this gives me a chance to play it. This sounds perfect for on the go as well. Im gonna wait till 2019 and get a dirt cheap used WiiU and MM for it. By then it wont have online anyway either but it will be a better version. I might as well hold out in other words. Hodgepodge train wreck if you ask me. @Priceless_Spork Let's hope the servers are up, if you want the software updates. Just a matter of time and they will release a proper version on the switch or even towards the end of the 3DS life .. but that one, yep yep, have fun collectors ..
Will definitely pick up the 3DS version even though I already have it on the Wii U. And because I can't even share my levels on the Wii U version, (Miiverse is an abomination) at least with the 3DS version I can share my levels through StreetPass and Local Wireless. @aaronsullivan "very good question about NNIDs"
You know I was thinking about you buying 3 Switch by April when I wrote that. I'm ok w/ no stylus, I hate stylus. Hate. Them. I'm very willing to give up a stylus for multitouch zooming. Big question is still - Is Switch a touchscreen? If it isn't a touchscreen I can't see SMM being fun, more like barely functional. The more I think about Switch the less I like it. Which is inevitable when I'm left w/ a vacuum of information, my mind goes negative, but I'm afraid of the potential missed potential. I'm still waiting for my "Wii U Play Together" Connect 4, Tic-tac-toe and Hangman game w/ vid chat so my kids, nieces and nephews can play w/ their grandparents. So to keep from going negative I'm just trying not to think about it. We'll see how Edit: Thursday night plays out and then ignore everything Nintendo related until Jan 12th. They should update it (patch) to include online sharing and Amiibo support. I keep telling you people, Super Mario Maker: Limited Edition. Since no one else asked any questions for Nintendo Life to answer, I'll be the first. Are the long Mario death sequences where a bunch of sounds play still in the 3DS version? While I do like the Wii U version, and this version does have its downsides, I still have it pre-loaded. That Super Mario Challenge and the ability to create levels on the go are enticing. @3dsgeek333 Because local play is still the foundation of the gaming industry. What I want to know is why big companies like 343 and EA are dropping local play. I didn't buy Halo 5 solely for the reason that it had no split screen which has always been one of my main reasons for buying halo games: to goof off with my brother on forge mode. It's like no one in today's world has friends to play video games with which is sad. I love Super Mario Maker, but I won't be picking this up myself. I am content enough with the Wii U version. Wii U version is master race. I still have the Wii U version unopened.. guess i was more hyped for the Amiibo it came with than the actual game..
Well, at least Yoshi & Poochy's Wooly World looks like it will be an excellent port. Gotta say, I'm kinda disappointed in what I've been hearing about this. I see no reason to pick this up for 3DS; the online community is what made this game and it sounds quite neutered here. I think all this does is prove there are games that are suitable for low power handhelds, and some games are only for high powered tv experiences. I would say the main reason they won't allow sharing of courses online is because the 3DS is far more prone to cheaters flooding the server with unbeatable levels. Basically, it sounds like a more 'gamey' version than the Wii U one, with less focus on creation, and more on gameplay. I may pick this up, since I enjoy playing courses rather than creating them - which got old for me very quickly. Whoops. Sorry, I'm being too positive... um... lolol Nintendo00med, and all that. I had hoped players could at least star a level on 3DS, which would boost my star count quite a bit. Really saddened to learn this appears not to be the case. Will still buy the game, if anything as a "sketchbook" to create stages with whenever I'm outside, and will replicate the level when I'm at home. If you feel like it, here's my bookmark page. I can't admit this on Miiverse, but I really need more stars - thirty-four more, in fact, and they're really appreciated. Sounds interesting, but I would have still preferred that the Wii U version still see some support. No event or official courses in a long time. And to be honest, I would purchase DLC to get the Super Challenges put into the game. Most of the people who own a 3DS do not have a Wii U and will therefore not care if this version is comparable or adds anything new over the Wii U version. They will only care about the fact that this is a new Mario game on 3DS that allows them to create their own levels and share them with friends. I predict that the 3DS version will eventually outsell the Wii U version. So is there any way to share a course created on 3DS with the WiiU version? Even locally? That would a nice feature to add, similar to how you share via local-wireless, and just share with a WiiU copy that's running in the same room. @memoryman3 I haven't noticed new levels for weeks, just old ones that I lose credit for having completed. Perhaps there is a new one in there I have missed. @TheAceofMystery Local play is great, don't get me wrong, but it's best fit for consoles over handhelds. Nintendo usually likes to outright replace a potential online play possibility with local play in many of their games lately, especially Mario Party. If I clear a level on my 3ds will it show up as cleared for people on the wii u?? ?